Furthermore, Dewey attributes a certain physicality to the writing of good poetry. 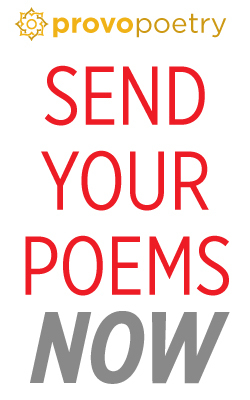 Only experienced poets who do not permit the muse “to diffuse itself at random through [their] whole [bodies],” but rather control and monitor their physical response to inspiration, are able to avoid confused and distorted perceptions that will prevent their treating an intended poem with the complexity of thought that it deserves. In this way, writing is more than the metaphorical flexing of a practiced muscle, but the steeling of one’s self in states of uncertainty. All of this to say that, lucky for us, Larsen is an experienced poet, and the musculature binding the collection is obvious. First, that they should not be assumed to be derivative of Larsen’s work, which unlike all things scholarly, transforms the ways we associate inspiration with the intellect. In fact, the wonder of this collection comes not from artifacts of knowledge, but in the exhibition of differing modes of processing knowledge—both mental and physical. Second, that it is easy to hide behind jargon, and perhaps I am trying to shield myself from any accusation of taking the title too literally, which is typically an obtuse way of thinking about poetry collections. Nevertheless, it’s true—I think physical knowledge is the shining star of What the Body Knows. Of course, the mental and verbal play we have come to expect from modern poetry is anything but absent in these prose poems. In “Almanac of Sighs,” the very first poem in the collection, Larsen’s dexterity in this intellectual-linguistic mode of knowledge is on full display: “Arm chairs sighing, old cars and young mothers sighing, graves sighing both before they devour the dead and after,” capture the reader’s ear in the best way—not with a shout, but a whisper. The lines work as monuments against vain repetitions, the sighs of beets somehow never being the same as the sighs of crucifixes. This mastery of repetition and nuance extends to different ways of looking at scarecrows, water, and, in “Ladder Poem,” the metaphorizing of progress: “Clocks are a ladder we lean against tomorrow today. Lay a ladder over a chasm, you have a bridge.” If you further ladder Larsen’s technical skills, tonal regulation reigns in “Valentine Poem Written After Learning of a Tragic Mishap in a Local Cave,” in which the speaker loves his valentine “like the country rescue team using oils domestic and lubricants industrial, not to mention a portable winch, which also failed, breaking ribs and almost snapping [a] neck.” Somehow he wrangles catastrophe into deliberation of the fortitude required by, and resulting from, a union. And while form is a rung considered less often in the technique of prose poems, of note are the four Q&A poems, which are used to great effect to deliver anecdotes and delineate interrogations, and sometimes, to interrogate again. It is easy, perhaps because it is hopeful, to assume that the driving companions will understand the implicit utterances shared with each other. Later in the poem, one of them speaks, “meaning he knew not what,” and loses his own understanding of their conversation. So how is the other to know? She does not. He does not. Whatever they might have disclosed in secret is cut, vulnerable as a single thread. But Larsen gives us in many of these poems an antidote to the failures of intellectual knowledge and all miscommunications of that knowledge. For Larsen, that antidote lies in the physical. All poetry relies on sensual reference. Poets are meant to “translate the world through their bodies… [to] reinvent it in language,” according to poet and critic Kim Addonizio. 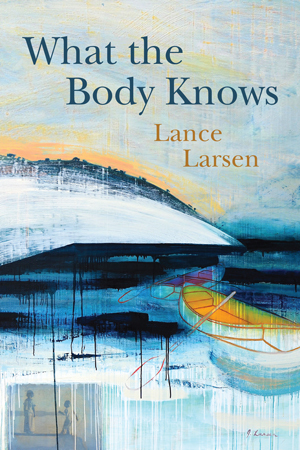 But Larsen invites the reader not only to feel with the body, but to know with it. This act of directing a poem by physicality rather than through it, of attributing reason and knowledge to the body itself, is a radical expansion of the sensory center we desire of modern poems. Larsen’s narrators gain and display physical knowledge with great frequency. The “yeasty amens” of a horse’s nibbling a hand makes a man invincible (“Horse Hands”). In “Girls in Trees,” worries of what the “de-girlization might do to this planet” consume. 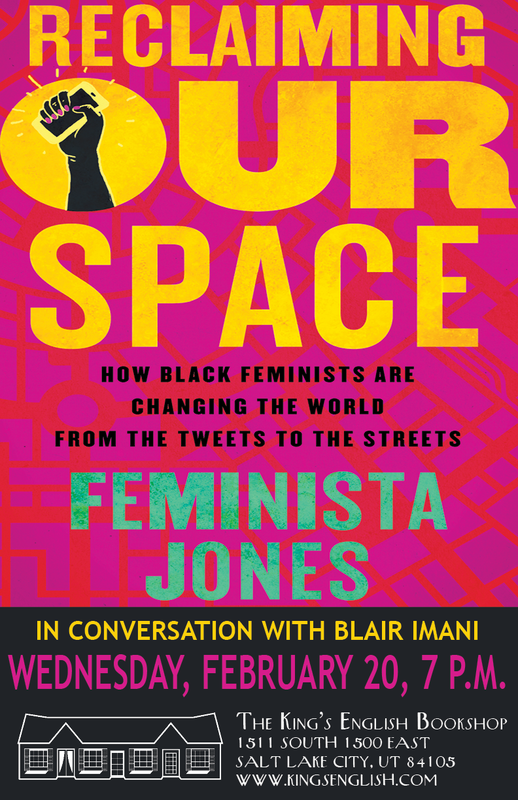 (Spoiler: just because the girls sit in trees doesn’t mean that they, too, are a renewable resource). A “Green Hut from Topaz” has its own muscle memory from its time in a Japanese internment camp—it “has never heard of Hari-kari or kamikaze pilots, but can taste honor in the air.” A mother forms “all contracts maternal” while nursing her newborn (“Blood on the Ceiling”). Voodoo—most earthly of spiritualities, that touch-and-be-touched deal, appears in several poems where characters inflict and are inflicted. We are reminded that it cannot be denied that our bodies contain knowledge, which we often misattribute to the pathways of firing neurons. Severed at the stem we would still know some things—to jump at something that looks like a snake in the grass. To protect a small thing. To lie down when it’s dark and rise up with the sun. The contradictions resulting from both modes of knowledge check each other from veering too far into nostalgia, or dream, or even grounded-ness. The body says “In Dreams of Old Girlfriends”: “just once I wish her red ants would picnic with my black ants and mean it.” The mind says—“they love me, these old girlfriends, but from a distance.” The ‘60s personified knew a young boy “perfecting [his] dead man’s float,” but perhaps knows him even better losing brain cells “during acid flashbacks” (“To the Sixties”). The body and mind keep secrets from each other at times, the secret of a signature written on a back, the secret that women—neither allowed to be sumo wrestlers, nor enter a sumo ring—will be warriors and protectors anyway. The mind that wonders if worshipping “sweet decay” is a righteous prayer housed in a body smitten by moldering mushrooms, and the funk of stables (“All Things Earthy, All Things Quag”). In an age when it feels so surprising to need to cling to reason like a lifeline, What the Body Knows brings a welcome respite, a welcome balance between component parts of us brain-heavy human beings. Don’t tip over, it says, with its physicality that welcomes the reader like a cradle. It is possible that those readers particularly susceptible to hypnosis, psychic transference, or abduction should beware lest Larsen’s work snatches them from their own bodies, lest they taste the pears and apricots he tastes, or see his old girlfriends in their dreams. Lindsey Keller is an MFA candidate in fiction at Brigham Young University, exploring feminist existentialism. She is an editor at elsewhere magazine, and recipient of the Academy of American Poets’ Prize.